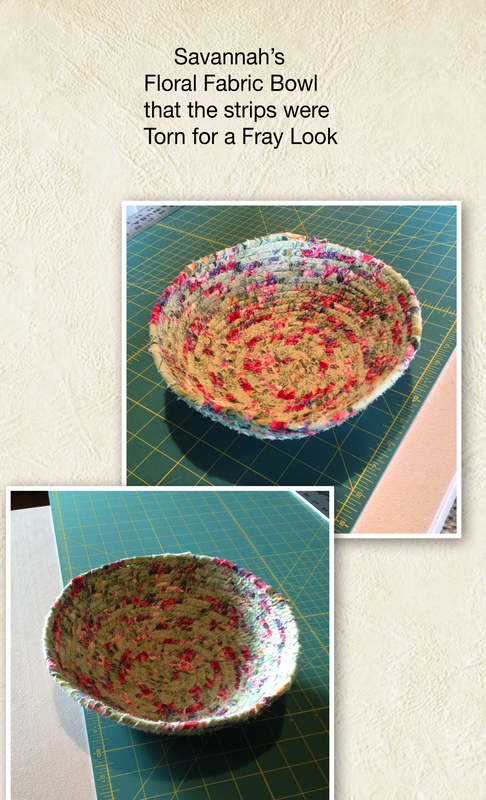 At one of our neighborhood American Sewing Guild meetings, a member, Karen brought in her sewing machine and demonstrated how to make corded bowls, she then allowed us to sew a few minutes on a demo bowl to try the technique. 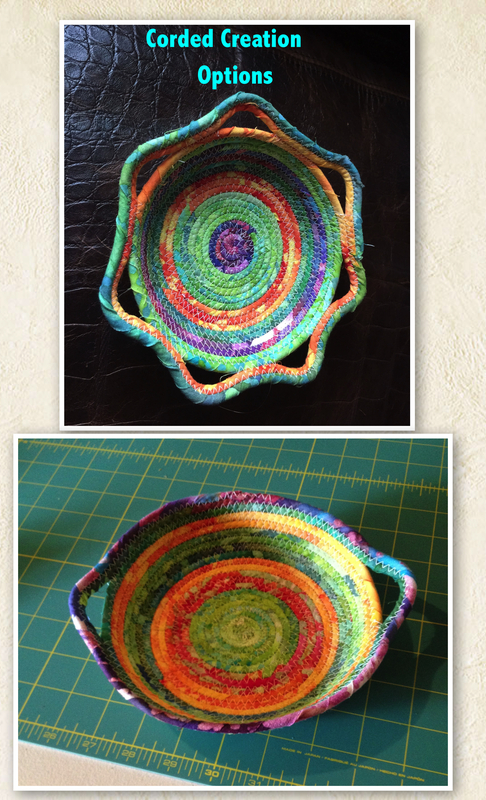 Her bowl shown here was my inspiration. I love how she added the medallian decoration on the front. 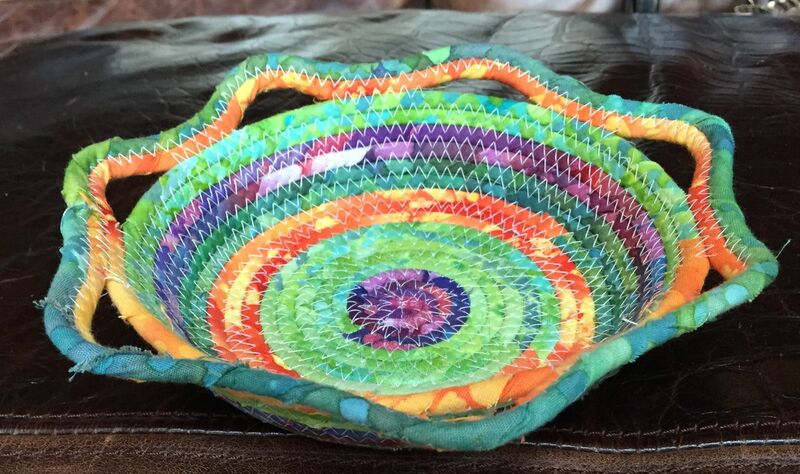 That is what makes it fun, because you can create the bowl any shape you want, round, with handles, decorative edges, oblong, small, large, all one color, multiple colors, or just two colors. It doesn’t matter, each one is different. The cord is cotton clothesline cord, the best to use is 3/16 inch. 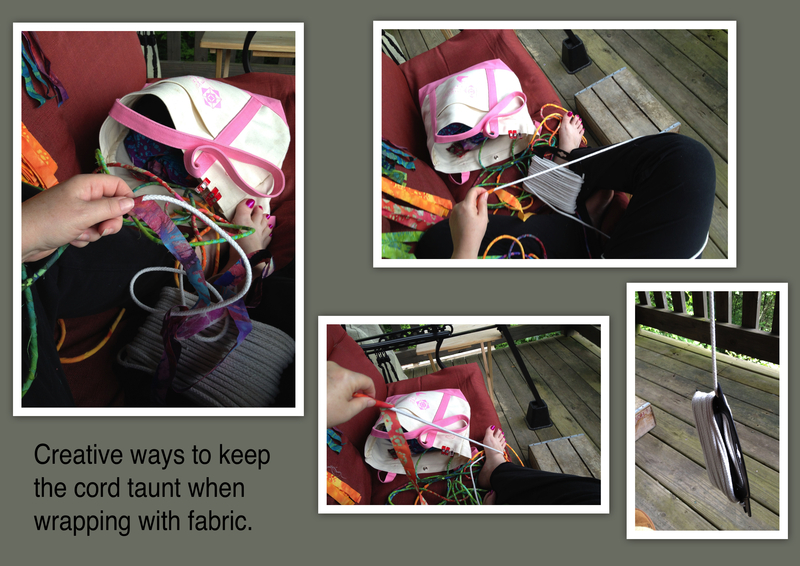 You don’t want to use the cord you make piping out of for pillows or clothing, because it is too limp. 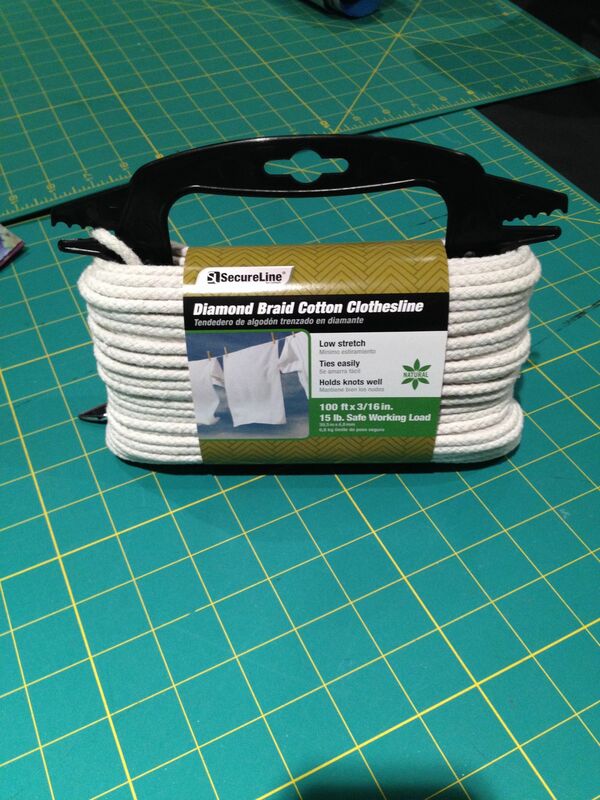 You need clothesline cord because it is stiff and will hold its shape once sewn. The fabric you want to use is cotton, batik is the best because it doesn’t ravel as much as regular cotton, but if you want the fray look, then use a regular cotton. 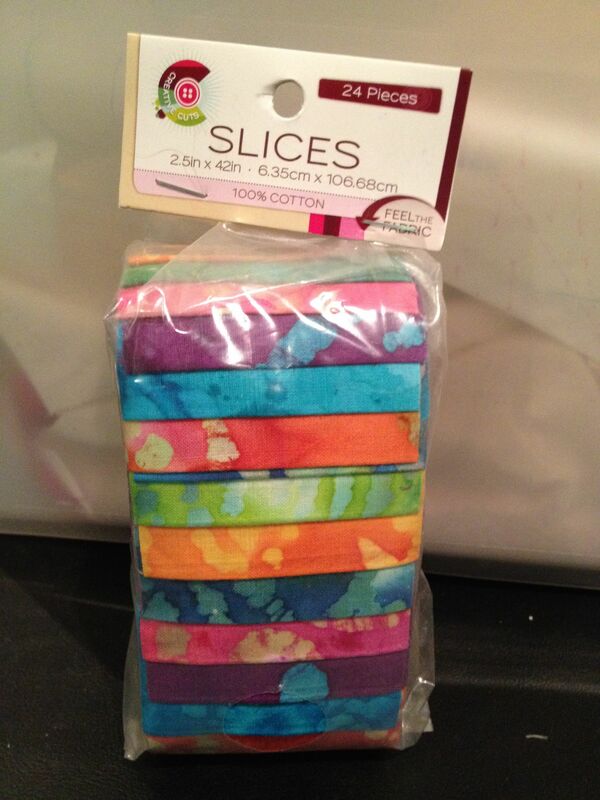 I just used a Jelly roll because I wanted a lot of different colors and this was an easy way to purchase multi colors cheaply. 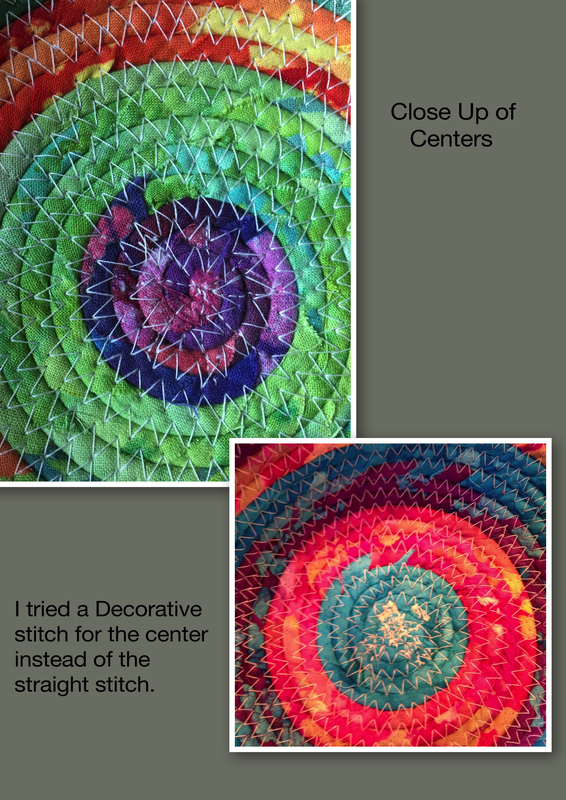 If you are a quilter, than I know you have a lot of scraps of cotton laying around that would make great bowls. 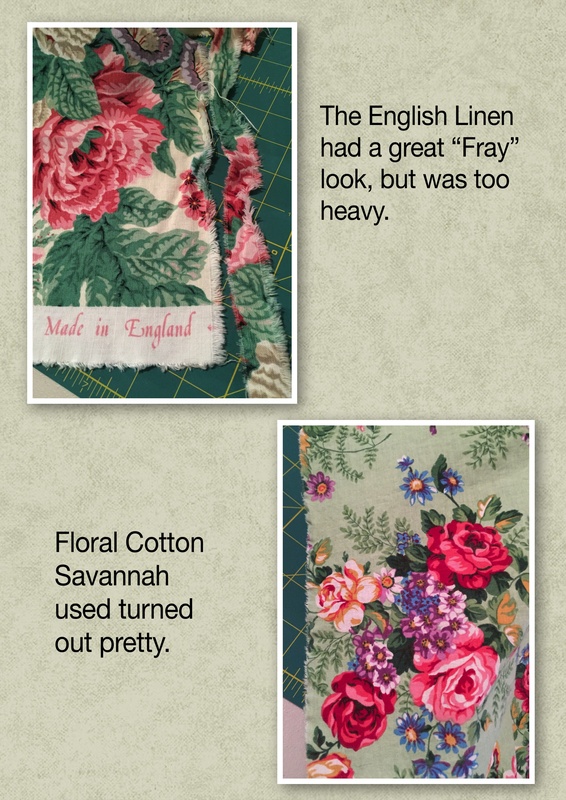 The fabric can be cut on the bias or on the straight grain, I didn’t really see a significant difference. 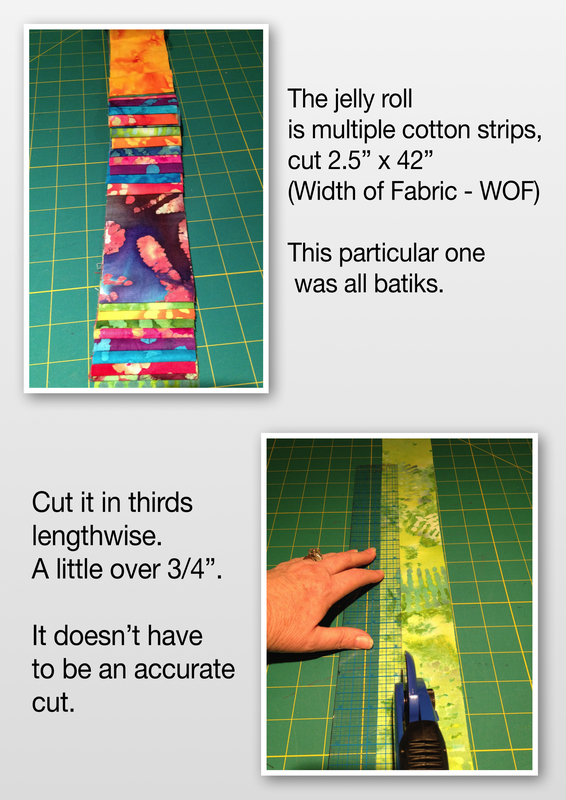 If you aren’t using a jelly roll as your strips, then cut strips from your cotton about 3/4″ wide and the WOF. After cutting your strips, find a comfortable place to sit and start wrapping your cord. Some people like to wrap their cord as they sew, personally I don’t. I like to sit in front of the TV or outside and wrap all my cord at once. To me this makes it more fun when sewing the cord together and it keeps my sewing rhythm more cohesive. 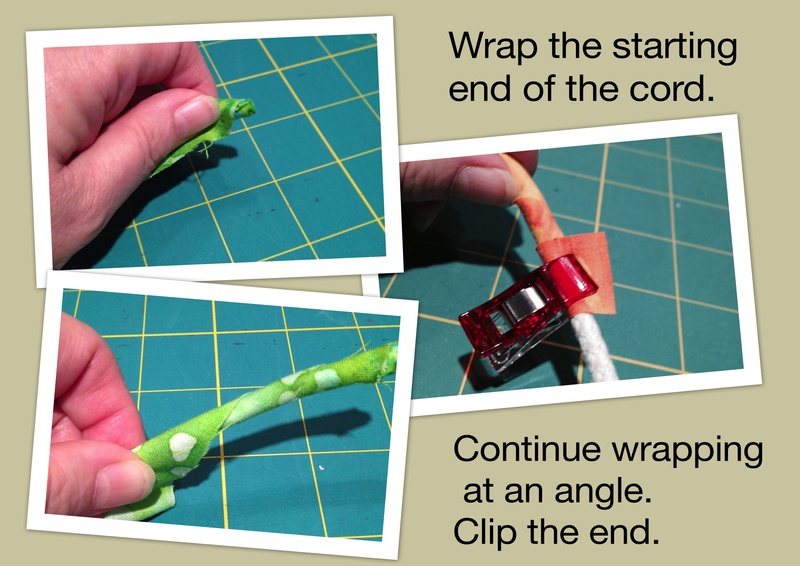 Start wrapping at one end of your cord, covering the tip first, then wrapping at an angle. You can put a little dab of glue on the end if you can’t figure out a way to keep the fabric in place. 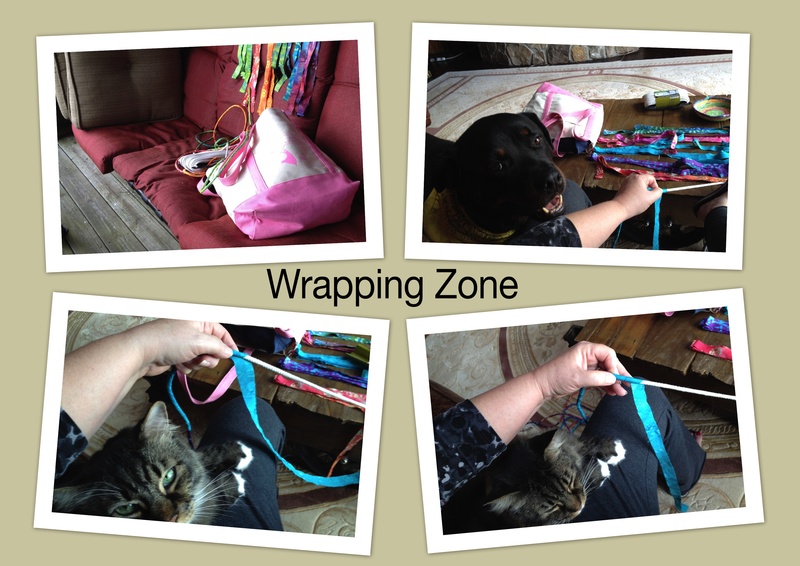 Make sure you overlap your fabric as you wrap, covering all of the cord. 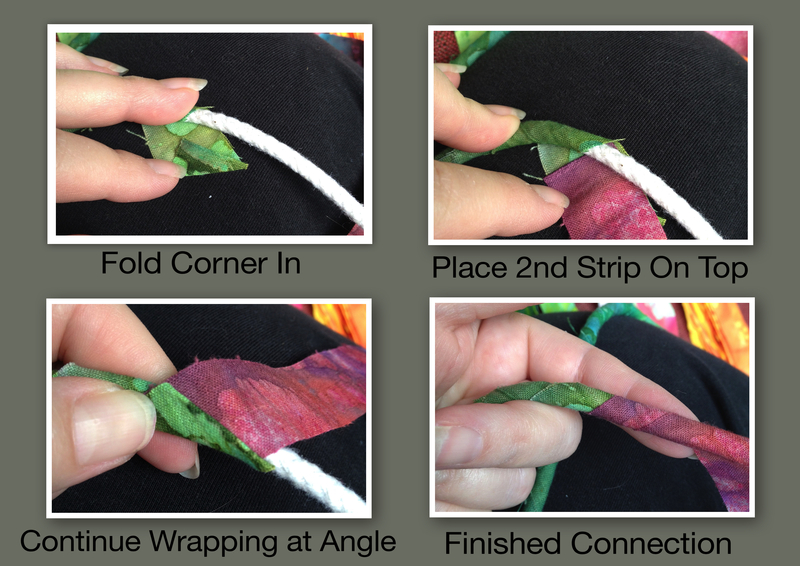 The reason you want to overlap is because by overlapping you are holding the previous wrap in place and also when you start sewing, the cord will bend. 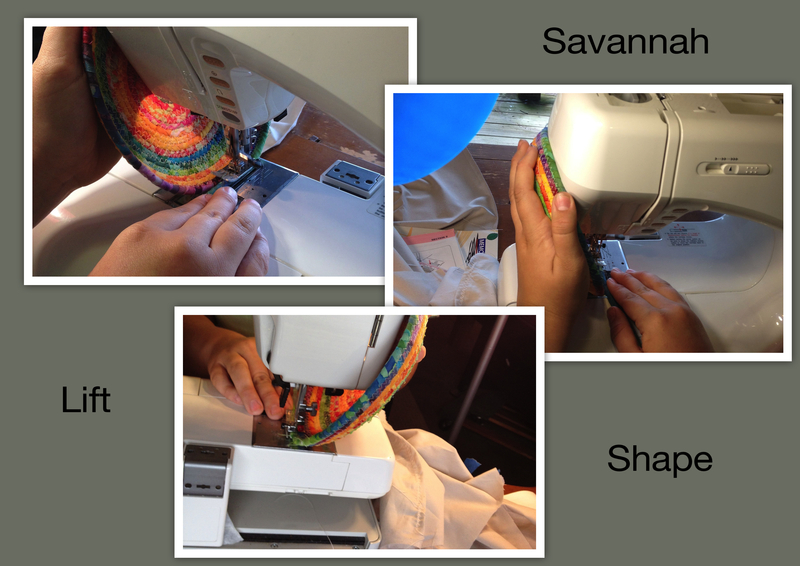 If you don’t overlap, when the cord bends, the cord will show through the fabric. I found when wrapping, if you keep the cord taunt it is easier to wrap the fabric around it. I kept it taunt by holding it with my foot, or wrapping it around my knee, or letting the cord still on its plastic frame hang over my knee or swing arm. Do whatever is comfortable for you. 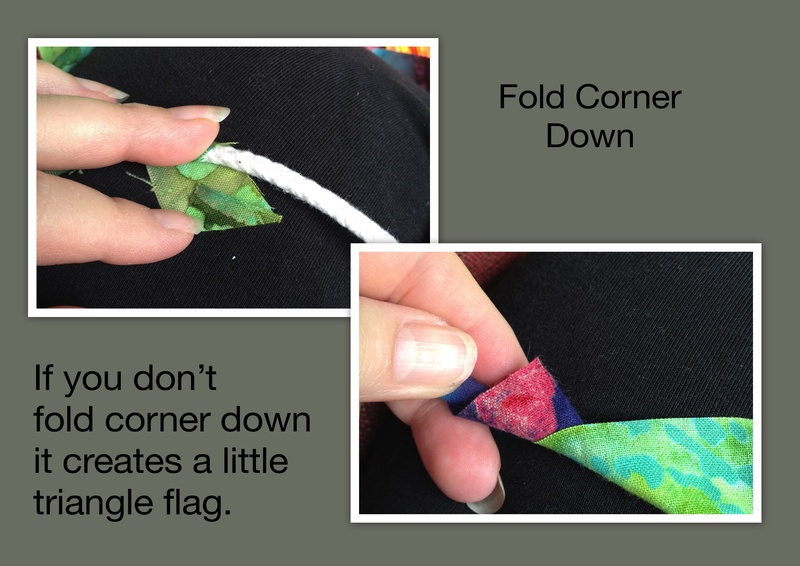 The reason I fold the little tip of the first strip is so you don’t have a little triangle flag standing up. Plus I like the visual flow of the connecting fabric when it is folded over. Now for the fun part, sewing the cord and forming the bowl. 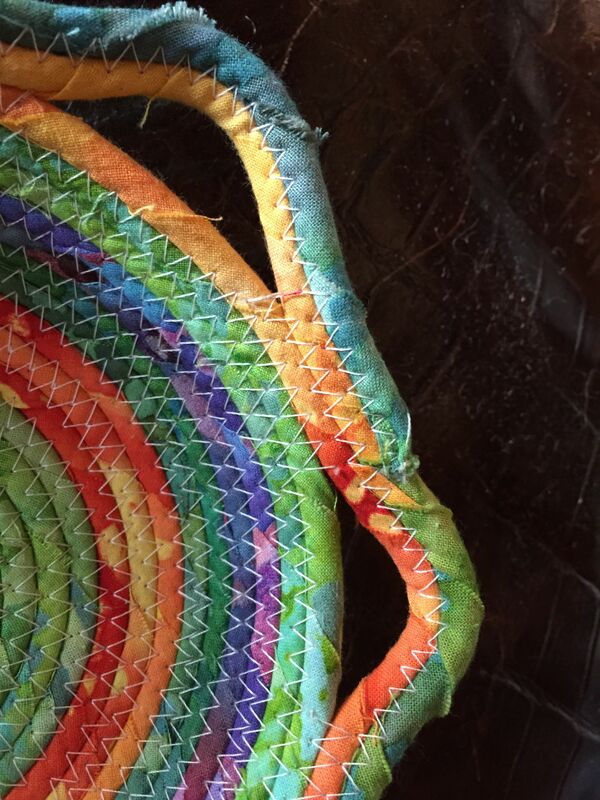 You will be starting the center of the bowl by coiling the cord around in a circle for a round bowl (oblong if you are making an oblong bowl). Keeping the coil flat, twirl it until it is about 2″ or 3″ in diameter. I find it easier to coil with the cord coming from the right side. 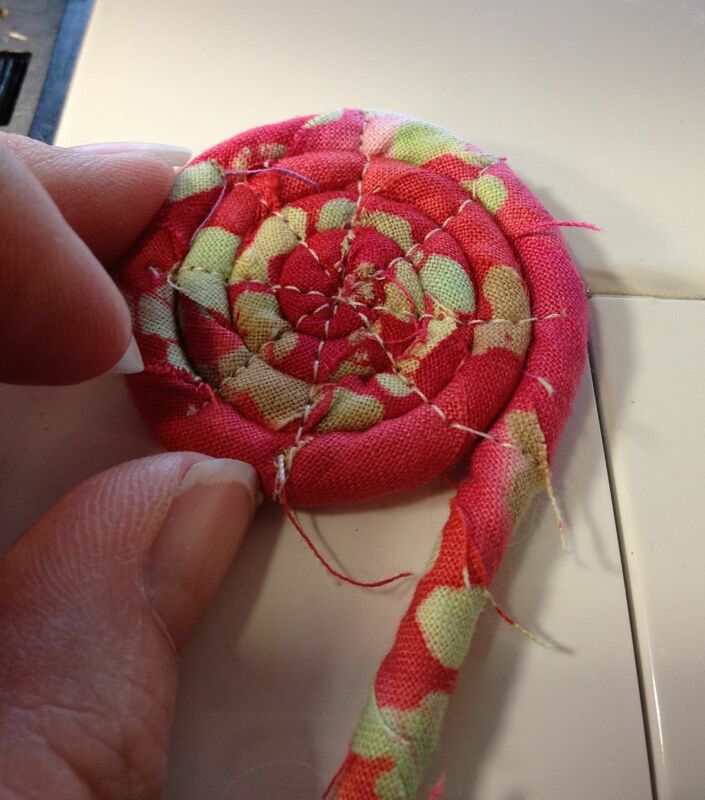 (See the pictures) Place it under your pressure foot, using a straight stitch make a big X, then keep halving the X. Basically what you are doing is giving your center some extra support. 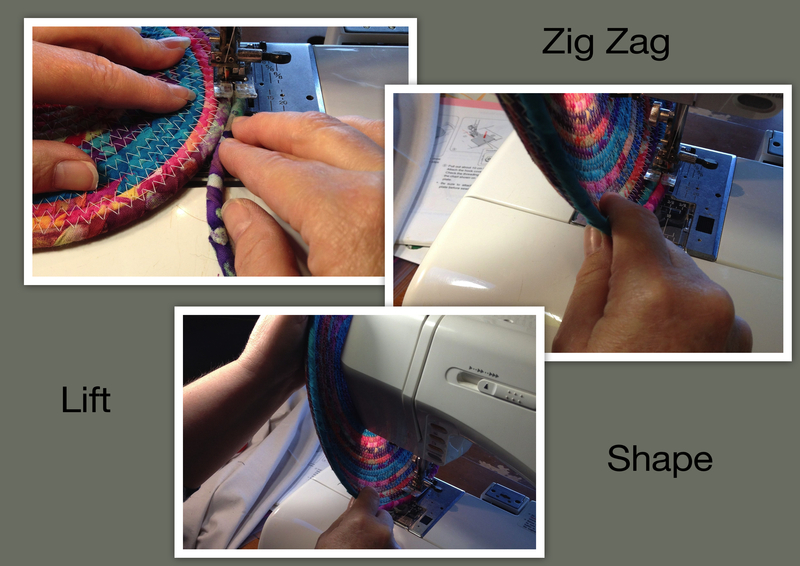 After making the X’s, set your sewing machine up for a zig zag stitch that is wide enough to zig one side of the cord and zag the other side of the adjacent cord. Center the pressure foot on the two cords and start zigzagging. Keep the coiling flat until you have the base the size you want it, then gradually curve the sewn cording up, this will shape your bowl. Check out YouTube for videos to actually see the process in action. My pictures are just for guidelines. 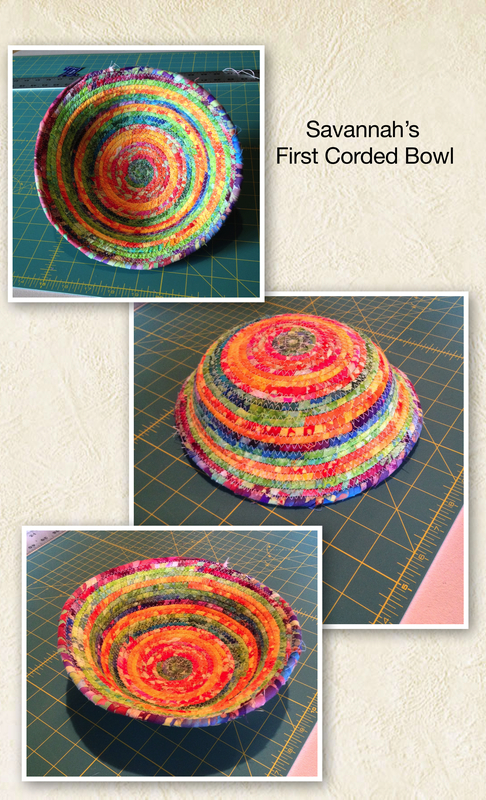 Depending on how you curve the cording as you sew, will shape your bowl. It is fun to try curving at all angles to see what shapes you can get your bowl. Remember it doesn’t have to be perfect, just have fun. When you get to the end, cut the cord and fabric, then unwrap the the cord about 1″. Recut the cord at an angle, rewrap it and zigzag it down. Some people just cut the cord straight, but I like the angle cut so that the end flows into the cord it is sewn to and it doesn’t just stop abruptly. 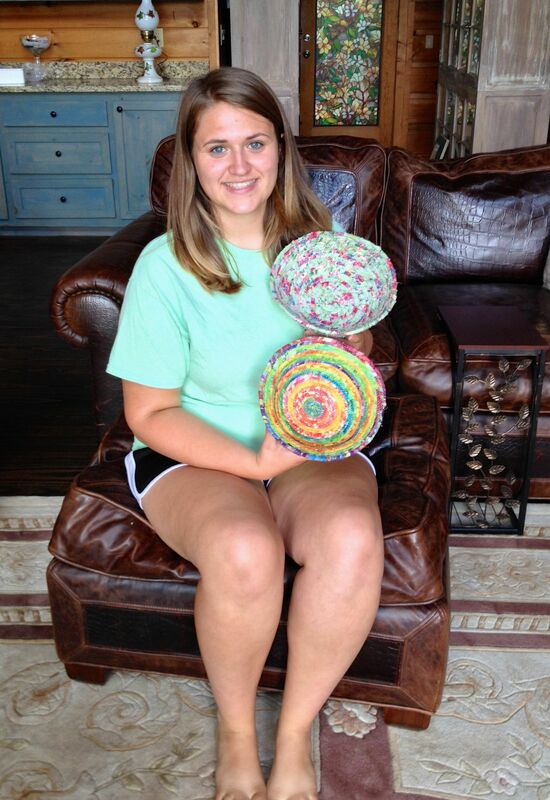 I taught my friend’s daughter, Savannah, (She was one of my Girl Scouts and a friend of my granddaughter’s so I call her my “pretend granddaughter”) to make the bowls too. She loved it. For her next two bowls she wanted to tear the cotton so that it would have a frayed edge. Her first choice was a piece of a home dec linen I had. It made a beautiful fray but it was too thick and it didn’t wrap correctly. Here are a few bowls I made. The only thing that limits your bowl creation is your imagination. 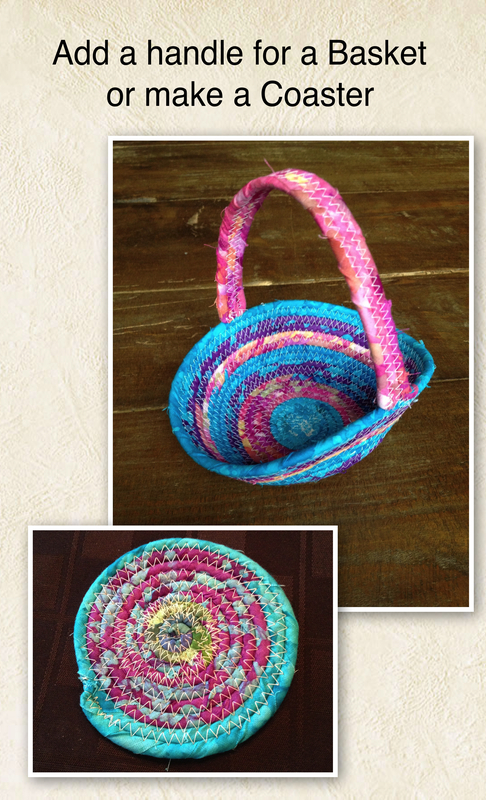 One day I might try wrapping it with knits and lace, I think those would make some interesting bowls. It’s your turn now, so get some cord, wrap it up and have fun shaping your new bowls. 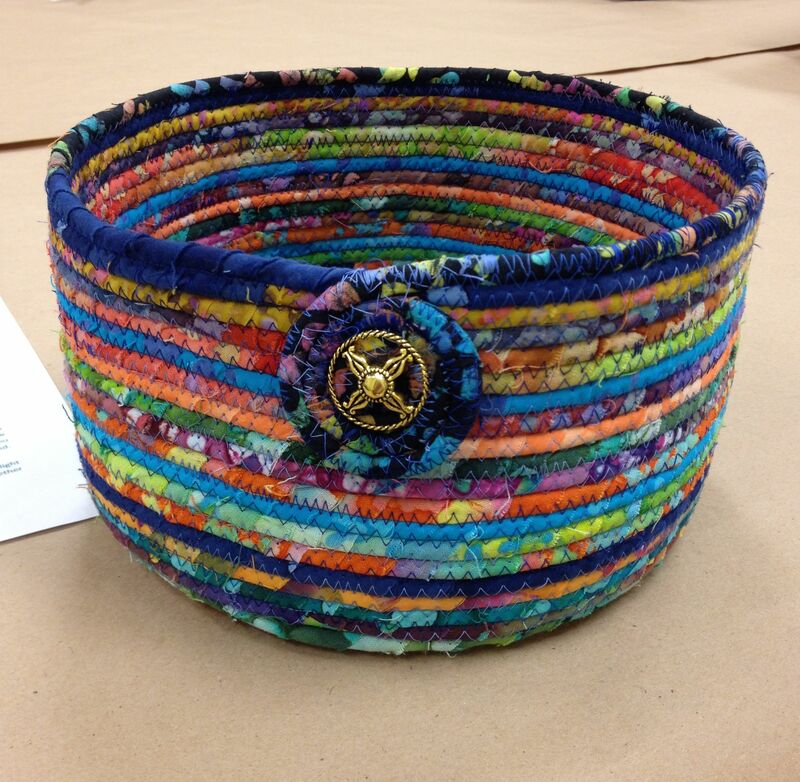 This entry was posted in Accessories, Gifts, Sewing and tagged American Sewing Guild, Cord Baskets, Cord Bowls, Corded Bowls, Fabric Bowls. Bookmark the permalink.